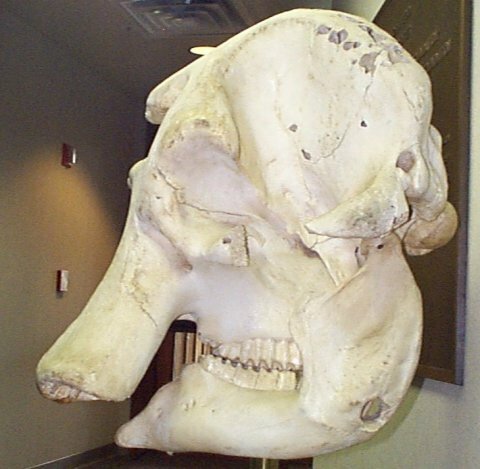 General information: Social unit: gregarious and roam about in herds (of 15-20) led by an old female; Defense: tusks are used as a tool for feeding and as a weapon; Reproduction: gestation lasts 22 months and an adult female gives birth about every 4 years starting at about age 13. A thirsty elephant can drink 200 liters of water in about 4 min. A charging elephant can reach speeds of up to 40 km/h. Blood vessels in their ears work as a cooling system. The ears are used as fans. Their bones are massive and lack bone marrow; this allows them to have a maximum amount of support. They go through 6 sets of teeth in 1 lifetime. This is due to the constant wearing during feeding. 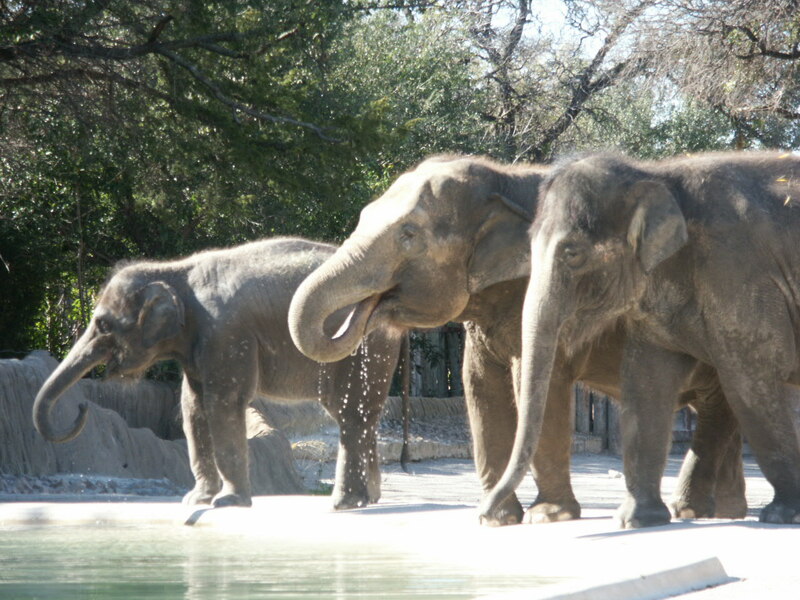 The Fort Worth Zoo has an amazing exhibit of Asian Elephants. They have their own pool that is drained and refilled almost daily. They have two "chambers" to roam and eat in. The zoo offers several places for a spectator to view them. One may view the elephants from the front, behind, and above. Because of the wonderful environment, they are very tame and peaceful to observe. The elephants are given tires, barrels, and other "behavioral enrichment" toys. The FW Zoo has a coordinator of enrichment. The coordinator observes how the animals use the toys they are given. Example of an enrichment activity. 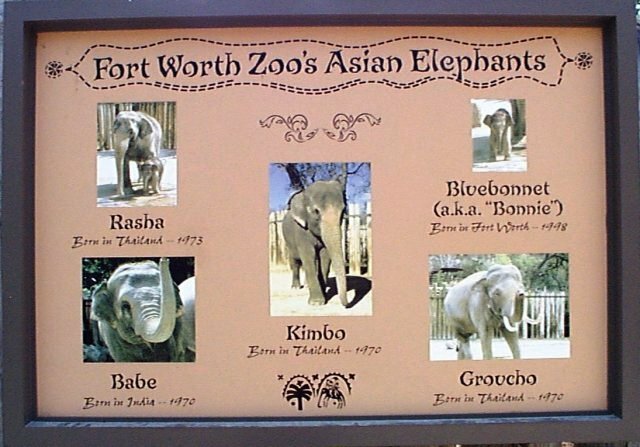 Fort Worth Zoo currently has 4 Asian Elephants. There is 1 bull, and 3 cows (this is 1 male, 3 adult females). Two came in 1985, one in 1988. They have come from NY, KY, WI, and Tyler TX. The Fort Worth Zoo does have a breeding program. 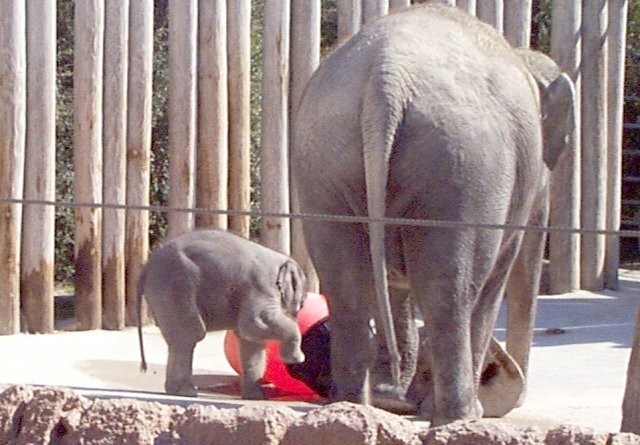 The elephant who paints gave birth to a female infant in Dec. 1998. Update on Bonnie: At 7 years old, Bonnie is still playful. Asian Elephant Bios: plaque outside Asian Elephant exhibit at the Fort Worth Zoo.